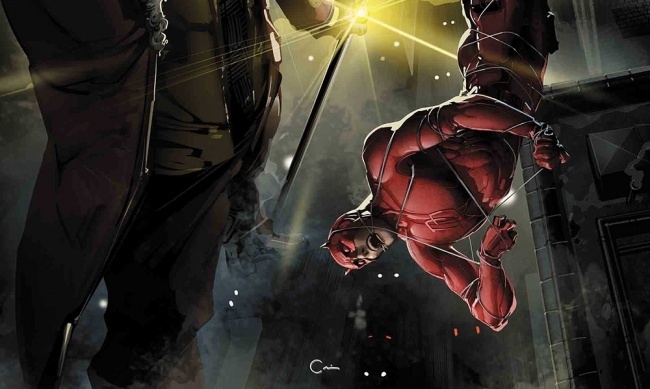 DO DAREDEVIL, CAPTAIN MARVEL, AND DARKHAWK HAVE INFINITY STONES? The Infinity Countdown event is spinning up with more tie ins. In May, Daredevil, Captain Marvel, and Darkhawk will each get an Infinity Countdown story of their own. 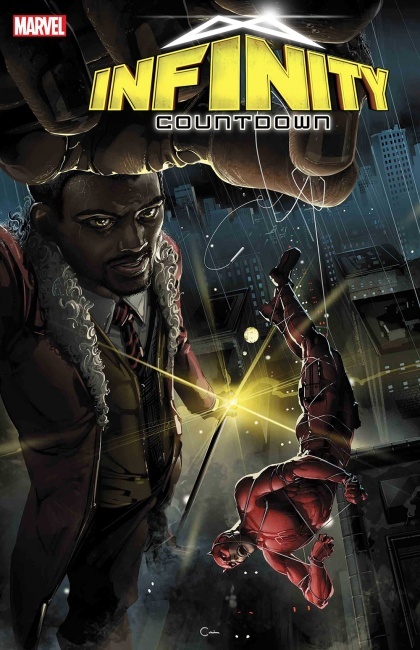 Infinity Countdown: Daredevil #1 from Infinity Countdown mastermind Gerry Duggan and artist Chris Sprouse (Black Panther) is a one-shot that finds Matt Murdock contending with the Mind Stone as he tries to protect his city. In Infinity Countdown: Captain Marvel #1, Carol Danvers is in possession of the Reality Stone and on a mind-bending, cross-time adventure. The one-shot is written by Jim McCann (New Avengers: The Reunion) and illustrated by Diego Olortegui (Ms. Marvel). Darkhawk returns in a four-issue miniseries from writers Chris Sims and Chad Bowers and artist Gang Hyuk Lim. Infinity Countdown: Darkhawk spins out of the war with the Fraternity of Raptors for the Power Stone. Infinity Countdown Prime #1, by Duggan and Mike Deodato hits stands on February 21. Infinity Countdown #1 (of five) by Duggan and Aaron Kuder will be in stores on March 7 (see “Countdown to 'Infinity'”). Marvel is planning a publishing blitz of collections and new material in early 2018 (see “'Infinity War' Publishing Build-Up”). The Marvel Cinematic Universe will also be hunting for the Infinity Stones on May 4, when Marvel’s Avengers: Infinity War opens (see “'Solo: A Star Wars Story,' 'Avengers: Infinity War,' Jurassic World: Fallen Kingdom,' 'Cloverfield Paradox,' 'Westworld' S2”). Click on the Gallery for covers.